Rory McIlroy's living the good life. The No. 1-ranked player in the world amassed over $14 million in earnings this year on the PGA Tour and European Tour, is reportedly set to make upwards of at least $200 million when he signs with Nike Golf, and won his second major by eight shots at the PGA Championship. 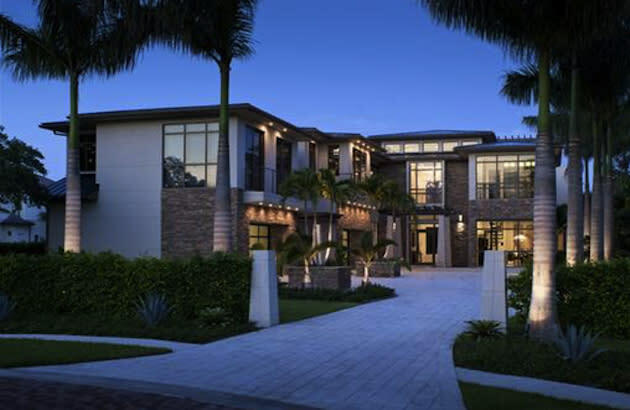 Needless to say, McIlroy has some money to spend during the offseason, and according to GossipExtra.com, the 23-year-old's going to spend it on a $10.9 million home in Palm Beach Gardens, Fla.
Rory McIlroy, the world's No. 1 golfer and biggest earner on the PGA Tour this year, has signed a contract to buy one of Palm Beach County's greatest houses. Several real estate sources tell me McIlroy, who won the PGA Player of the Year award this week, came close to the $10.9 million-asking price for 2380 Old Gate Lane. The Intracoastal-side property is in the swank Old Gate enclave of Pam Beach Gardens. McIlroy, who's currently playing a full schedule on the PGA Tour, had hinted he was in the market for a new home after he put his home in Northern Ireland on the market for $3.24 million in September. As for the new mansion in question? Well, it's pretty fantastic based on the listing photos. Built in 2012, the house is 10,000-square feet, has six bedrooms, nine bathrooms (who doesn't need nine bathrooms! ), gym, pool ... and a putting green. Talk about the perfect home. It's also right next door to Jack Nicklaus' The Bear Club Golf Course, so McIlroy will have a place to practice when he's home. For the moment it looks like McIlroy will be the only full-time resident, but with the recent engagement rumors flying around, nobody would be surprised if girlfriend Caroline Wozniacki moved in at some point. I'm pretty sure McIlroy has the space for her stuff.